ournaling helps us understand what’s really going on inside of us, so we can get past all the baggage that we’ve been carrying around and experience our true, authentic, healthy self: the one that we came into this world with. If you come down with a physical ailment, journaling can be a crucial part of your speedy recovery. An infection, a rash, muscle pains, headaches, and many other afflictions that commonly strike people often have their origin in stress. Journaling allows you to discover the psychic source of the disorder. When you’re experiencing a physical problem of any sort, try this: sit down every day with your journal and have a dialogue with the disorder. Talk to your eczema, your lower back pain, your shingles, or your headache. Ask it questions and listen to its responses. As you write out the conversation, you open yourself to amazing discoveries about assumptions you subconsciously make and old irrational fears that continue to enslave you. The journaling process is a way to clean up your energy system by getting your thoughts, emotions, and underlying premises out on the paper, where you can see them and deal with them in a much more concrete way. When you’re not feeling well, when you’re sick or have recurring aches and pains, probably the last thing you think of is journal writing. But the fact is that journaling for the health of it can be an excellent starting point for a voyage of discovery about what your body is trying to tell you. Studies have shown that people who write about their traumatic experiences feel better overall and visit doctors less frequently. It has even been demonstrated that journal writing can improve the health of asthmatics and people with rheumatoid arthritis and irritable bowel syndrome. Consider Kim who was diagnosed with the chronic Epstein-Barr virus. 1. Have a daily conversation with your body through the pages of your journal. Ask it lots and lots of questions and write down its responses. Starting with your head and going down to your toes, check in with individual parts of your body. Identify any sensations as specifically as possible. Now ask, what improvement would you like to see in your body’s health today? If you could sum up what your body is trying to tell you right now in one sentence, what would it be? Are there physical patterns you notice in your conversations? Are you consistently hearing the same message(s) from your body? Are there emotional patterns to your conversations? What improvement would you like to see in your body’s health in the upcoming week? If you could sum up what your body has been saying to you over the past week in one sentence, what would that sentence be? 3. Keep up this practice of regular writing, reading, and reflecting over the weeks and months, making note of patterns, changes, and progress. After a while, you will look back on your experience with great awe and respect, knowing that by getting up close and personal with your body, you have become your own primary care provider. To help find peace of mind in the present, try working with that wish in your journaling practice. Go back to that previous time for a dialogue with your younger self. Say all the things you wish you had heard at the time. The process is likely to turn up greater understanding than you expected, with insights into your present life as well as healthy perspectives on past events. In your journal, write a letter to your past self, following these steps. Take several minutes to make a mental picture of a time in your past that was stressful. Why was this period so challenging for you and exactly how did you feel? What kind of support would have helped you cope better? Are there mistakes you wish you could go back and redo? Are there decisions you made at the time that you still stand by? Then spend a couple minutes making a mental list of what you have learned since that difficult time. If you could sit with your younger self and share an important piece of advice, what would it be? On a fresh page in your journal, start a letter to yourself. Include as many details as you can remember of your life at that time. Be as empathetic as you can be towards your former self: be respectful of the feelings you had and understanding of the decisions you made. Then give some advice to your younger self. What can your present self offer that might have helped you at that time? Say whatever you think would have been a wake-up call for you then. Be gentle, blunt, or funny; be kind but firm. Before putting your pen down, be sure your letter includes a statement of love and forgiveness for your earlier self. Be sincere and generous, and reassure your past persona that you will be okay. After all, you survived and made it to today! When you’re done writing, consider for a moment whether the advice you just shared might be relevant to any current issues in your life. What do you think your future self would say to you now? The grieving process is different for everyone. Losing a loved one is a very painful and personal experience, and you may feel a whole range of emotions from denial and anger to loneliness and depression. You might deal with your loss in a completely different way than your brother or mother or spouse, and it can often be hard to talk about how you feel. There is no immediate or magical cure for grief, but writing in a grief journal helps you process your feelings and express yourself in a safe, nonjudgmental place. Use this journal therapy to write what might be too difficult to say to other people right now. Starting today, just begin writing. It may be painful or frustrating at first, but give yourself an hour of uninterrupted time with your journal and see what you come up with. If you don’t finish the following exercise in one sitting, come back tomorrow and give yourself another hour. What smells, sounds, and sights do you remember about the scene? What were your emotions at the time? What emotions do you feel now, looking back on this memory? Why is this particular story significant to the relationship you had with your loved one? 2. Find a visual representation of this story. If you have a photo that was taken that day, paste it into your journal. If not, look through old magazines to find an image that represents your feelings about your memory. You can also make a collage on a page in your journal of many images and words that express your emotions toward this story. Take your time and choose images that mean something to you. You’ve just taken a big step forward by writing the first entry in your grief journal. The process will become more natural as the days pass. You’ll realize that your journal has become your new best friend. By making pen-to-page journaling a part of your daily health routine, you heal your psychophysical wounds and experience a healthier, happier life. And you’ll discover many more ways the practice brings you to the very best of You. Mari L. McCarthy is The Journaling Therapy Specialist. 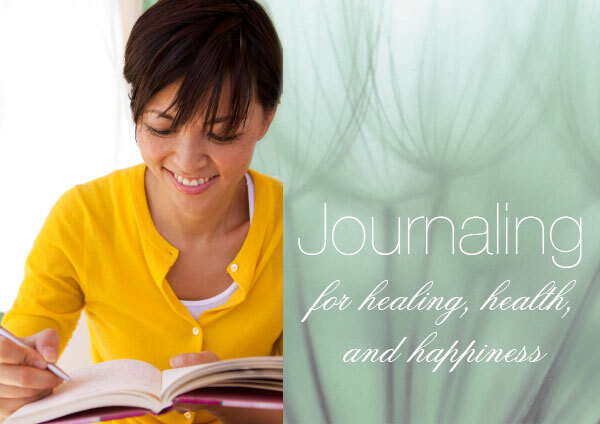 Learn more about journal writing therapy at http://www.createwritenow.com where you’ll find Journaling for the Health of It ™ inspiration, ideas, tips, and resources and The Journal Writing Therapy Blog. And download the free e-book, How to Use Your Journal to Cure Writer's Block Now.